Britons’ Stone Age ancestors possessed some unexpected talents, scientists have discovered. On top of their prowess in constructing great monoliths such as Stonehenge, they were also adept at staging first-rate parties. Roast sweetened pork consumed with a range of rich dairy products including cheese and butter appear to have been commonplace at feasts – according to an English Heritage exhibition, Feeding Stonehenge, which will open this week at the stone circle’s visitor centre. Stonehenge was constructed in several stages. However, the most important period occurred around 2,500BC when the great sarsen blocks that form the main ring were erected, said Greaney. “Recent analysis suggests this construction was completed over a period of about 50 years,” she added. Scientists have also dated the occupancy of the neolithic village of Durrington Walls – which lies about a mile and a half north-east of Stonehenge – to a 50-year period that also occurred around 2,500BC. “From this, we have drawn the conclusion that Durrington Walls was the place where the builders of Stonehenge lived and where they held celebrations connected with the great edifice they were building,” said Greaney. 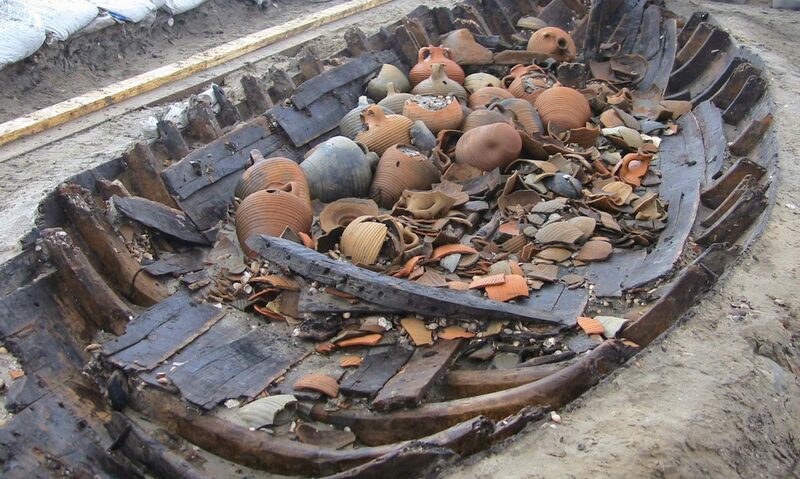 From the pot fragments, scientists were able to pinpoint fats, waxes and oils from the food cooked in these vessels. These fats, which seeped into the pottery and collected in pores, can now be analysed by a technique known as lipid analysis. The presence of dairy food poses a puzzle, however. Genetic evidence indicates that Britons at this time were lactose intolerant. Drinking milk would have made them ill. Yet dairy foods appear to have had widespread use. This has led Craig and other scientists to argue that cow’s milk would not have been consumed directly but would have been turned into cheese and yoghurt – which would not have triggered lactose intolerance reactions. In other words, people gathering for these festivals would have been eating protein-rich dishes of butter and cheese and other processed dairy products. All the signs point to the fact that Stonehenge and Durrington Walls were associated with some very lavish celebrations. For example, at most other archaeological sites where animal bones have been left behind after being eaten, very little is left unconsumed. This was not the case at Durrington Walls where half-eaten chops were left discarded in many places. “This could have been the country’s first throw-away culture,” said Greaney.